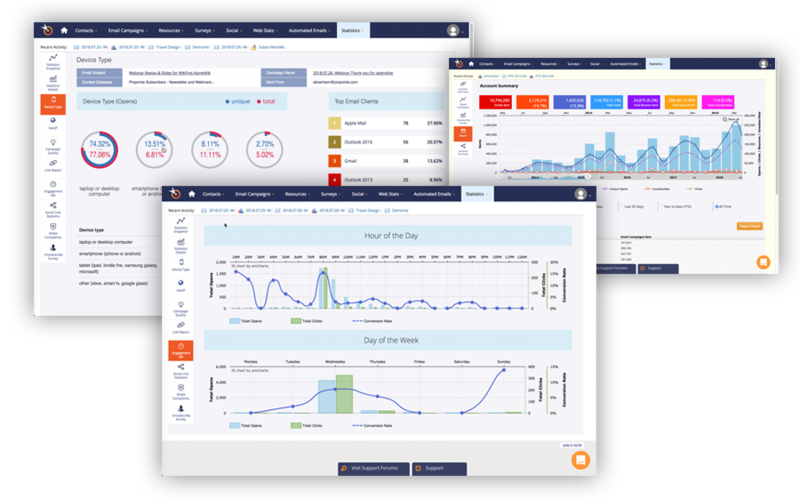 Pinpointe helps thousands of businesses, enterprises and agencies plan deliver and manage high volume email campaigns that deliver results. Our flexible, easy to use marketing cloud makes campaign creation, advanced segmentation, personalization and reporting simple for anyone. Separate sub-accounts are ideal for larger businesses, agencies, who can manage separate accounts for each customer, franchises and publishers with multiple sites. 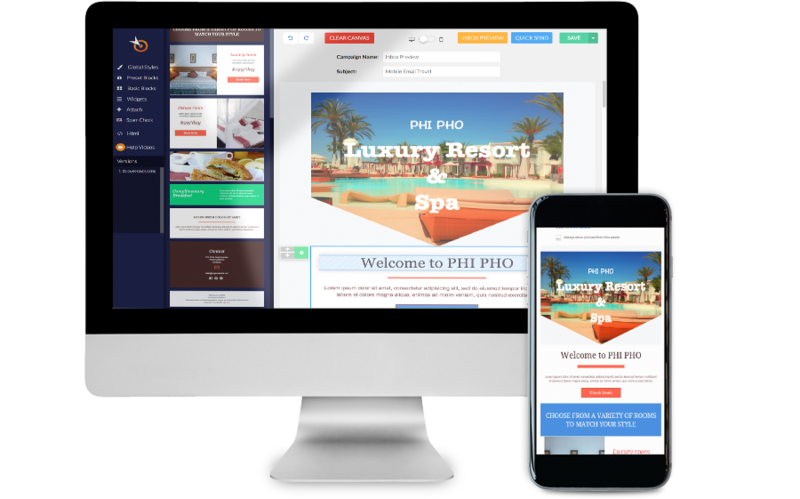 Anyone can build professional looking, engaging, responsive emails in minutes, not hours with Pinpointe’s award-winning ‘widgetized’ drag and drop builder. Start with one of our 100+ modularized templates or quickly build your own. 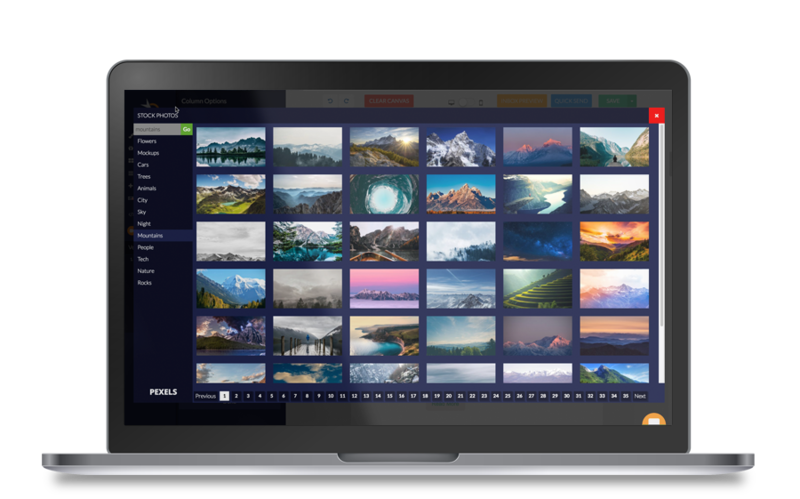 Then seamlessly customize any campaign using royalty – free images from our library of over 40,000 high-resolution images. Responsive. Displays beautifully anywhere, on any device. Send with confidence. Our campaign pre-flight check shows you exactly how your email will display in 30 different email clients and top mobile devices before you hit send. And we’ll check your content against top spam content engines to let you know if there are any phrases that might trip your email up. Make the switch today and we’ll recreate up to 5 of your campaigns in Pinpointe as part of our Concierge onboarding service. Connect Pinpointe to your business critical applications to super-charge your email marketing. Use Zapier to connect to over 1,000 applications. Or, use our extensive XML API to connect to virtually any application. Using Salesforce.com? Keep your Leads / Contacts and Campaign member information synchronized to Pinpointe in real-time. Build your list faster by adding Pinpointe forms to your site, or use seamless Sumome and WordPress integrations to capture even more leads. We don’t stop at just offering real-time opens / clicks / bounces reports. 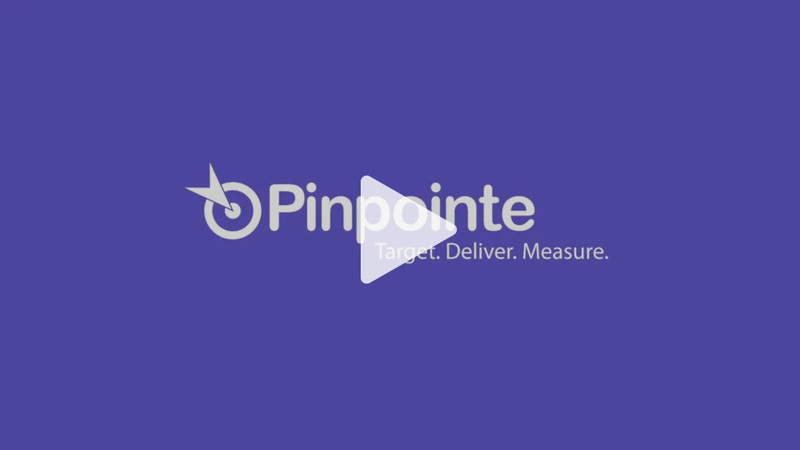 Pinpointe delivers actionable analytics. Easily view mine data to refine your campaign strategies and improve results. Open and Click heatmaps help you visualize when your audience is engaging. Analyze and compare any number of campaigns over time to uncover potential trends. See top email client types and understand how much of your audience is engaging on mobile vs desktop devices. We’ve got you covered with a high quality, US-based support team. Use Live chat right inside Pinpointe. Check out our 24 x 7 email support. Plus our extensive knowledge-base and monthly ‘Best Practices’ webinars are always at your fingertips. Take advantage of our free ‘Concierge Onboarding Service’(*). Get a live training and strategy session with a customer success expert. 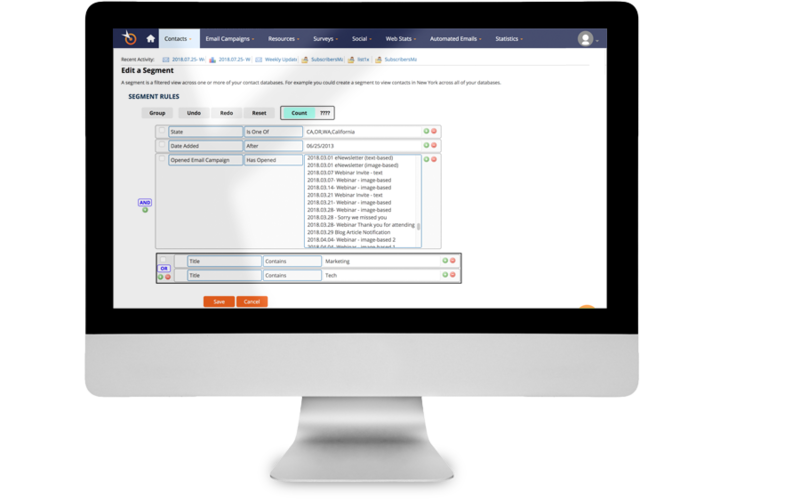 To ease the onboarding, we’ll import up to 5 campaigns, databases and forms into Pinpointe so you can hit the ground running. Our email experts will review your account and analyze your campaigns to help improve your email marketing results. We’ll work with you to execute those strategic recommendations, driving the results your business needs. All at no charge, of course. It’s never been easier to make the switch. Build any complex selection criteria — mix AND-OR logic using simple, pull-down menus to target your exact audience. Segment on Geographic, “Geo-IP” information. We add Country, City and State/Region to active contacts so you can easily search, segment report & target based on where people open their emails. Scalable plans and solutions to fit your requirements. Start a full-featured free trial, no credit card required. * Available on monthly subscriptions at $99 and up.